Posh co-owner Dr Jason Neale. Peterborough United are on a mission to develop more homegrown players for their first-team. Posh have launched a five-year plan to ensure at least three players graduate from the club’s Academy to the first-team squad by the year 2024. Dr Jason Neale (centre) at a Posh match. Posh co-owner Dr Jason Neale is a firm advocate of the club’s new plan. 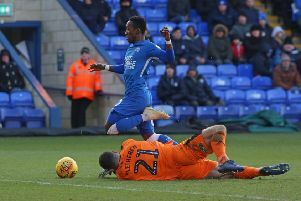 He explained his club’s new policy in an interview with the Peterborough Telegraph and the Posh media team today (March 18). “We’ve set the Academy staff a goal for three graduates every year to be good enough to be taken on at first-team level by the year 2024,” Dr Neale stated. “It is a demand if you like. If they are not producing three players every season then they are not doing their job. “I’ve had productive meetings with the staff and they are on board. They asked for things themselves and we have tripled their current budget to help them. “We currently run one team from under 9s to under 12s and we double the amount of players at those age groups. We will be recruiting more players and we will be recruiting more coaches while helping the current ones to develop. “By the year 2024 if our first-team manager has 24 players in his squad, three will be Academy graduates. We will also improve the pathway to the first team for 18 year-olds. If we have players who are just short of the required standard to go straight into the first-team squad we will sign them as professionals, but immediately loan them out to lower division clubs for them to gain experience. “I would hope the guarantee of three players getting a professional contract would inspire the youngsters to push hard. They would know of the infrastructure and the guarantee of three graduates and you never know we might start getting a few more players coming through before 2024. “We will now have a very well-funded Academy and four years from 2024 we would either have a whole team of graduates or we would have sold some on and generated our playing budget that way. The current Posh youth team players’ future is under discussion now. Posh are also continuing, and indeed expanding, their schools initiative into next season. They have invited thousands of children from 80 primary schools at attend games this season. Free under 12 season tickets have also been introduced for next season, providing they are purchased with an adult season ticket. The club are also inviting under 12 season ticket holders to experience a training day with the club. Full details are available at www.theposh.com. 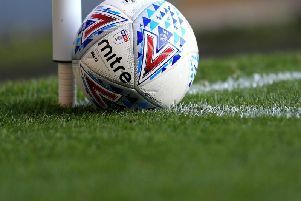 The home game with Gillingham on April 6 has been designated ‘Junior Alliance Day’ when all players from clubs in the league have been invited to attend the match wittheir coaches free of charge. Over 500 youngsters have already taken up the offer.